One of the issues Haaning deals with in his artistic praxis is the question of how society constitutes itself and how power is expressed and communicated within it. He focuses in particular on the consequences of the mixing of cultures and the movement of individuals, objects or concepts across geographical and cultural borders. The artistic tools he uses are often interventions in social or cultural contexts. Haaning' works creates frames for reflection on both political, economic and cultural relations as well as more existential issues such as the construction of identity and the relation to others. Haaning’s work has appeared in solo and group exhibitions around the world, with recent one-person exhibitions at the San Francisco Art Institute, San Francisco USA; Vienna Secession, Vienna Austria; IAC Institut d'art Contemporain, Villeurbanne France. 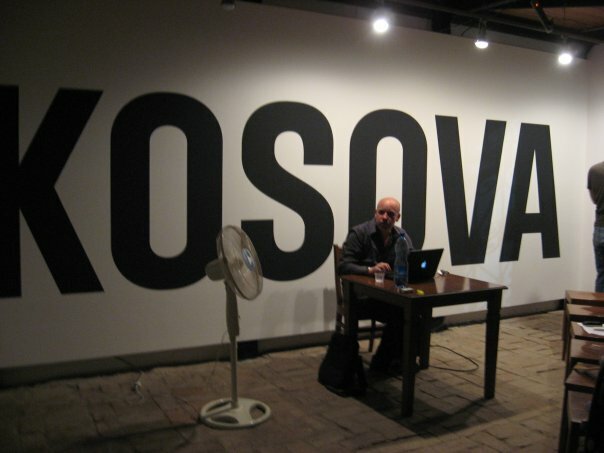 Haaning’s work has among other places appeared in group exhibitions at PS1, New York USA; Periferic 7 Biennale, Iaşi Rumania; 6th Gwangju Biennale, Gwangju South Korea; Museum Ludvig, Köln Germany; Tirana Biennale 3, Tirana Albania; The 9th Istanbul Biennial, Istanbul Turkey; Documenta 11, Kassel Germany; ICA, London England and Creative Time, New York USA. Haaning attended the Royal Danish Academy of Fine Art in Copenhagen, Denmark, and the Akademie der Bildende Künste in München, Germany.